Do you plan to retire at 60 or do you hope to retire at 60? ‘Hoping’ and ‘planning’ may sound the same, but they’re not. Create solid financial goals and take action on them. 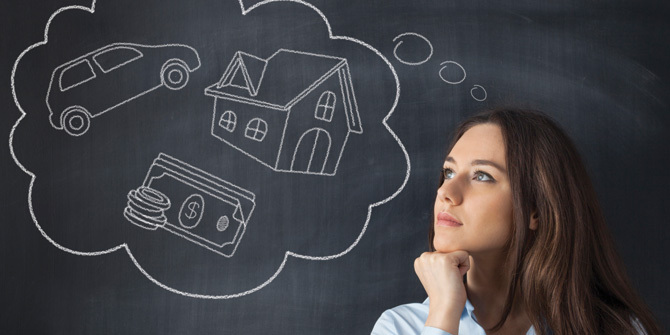 This way your hopes and dreams are more likely to become a secure financial reality. Create goals that are S.M.A.R.T. — Specific, Measurable, Attainable, Realistic and Timely. Specific. Decide what you want to do and why. If your goal is to reduce your debt be specific about which debt you’d like to reduce (e.g. credit cards or personal loans) and how achieving that goal will impact your financial future. Measurable. Define what success looks like for you and how you will measure it. For instance, if you want to reduce your card debt by $1,000, commit to setting aside about $83 every month for a year. It’s rewarding to actually see that debt paid off by the amount you set as you go along. You can sign up for an automatic withdrawal from your paycheck and use Direct Deposit to have your funds placed in a designated LGFCU account. From there, use BillPay to have this money applied directly to your card balance. If you don’t see the money, you’re likely not to miss it. You’re also that much closer to realizing your financial goal. Attainable. Make sure you have considered where the extra money you need to cut your debt will come from, while still allowing for essential spending. You’re not likely to reach your stated goal if you don’t actually have the extra funds available. Realistic. Can you really spare the funds you need to achieve your goal? Cutting back expenses is a good place to start, but if you cut out essentials or things that are more important to you, your plan is likely to fail. If you’ve already tightened your belt as much as you can, look for other ways to reduce debt. For example, consider transferring high interest credit card balances to a lower-interest rate card like LGFCU’s Visa® Credit Card. The balance transfer could be a great way to save money on interest payments. Take the money you would have paid in interest and apply it to the outstanding card balance, making your goal that much more attainable. Just be mindful not to fall back into old spending habits. Timely. Determine a realistic timeframe for completing your goals and establish smaller milestones. Then use reminders to check in occasionally to see if you have reached those smaller milestones or if you need to make changes. Setting financial goals gives you control of your future success. Don’t just think about a goal; write it in a journal, on sticky notes or save it in an app.